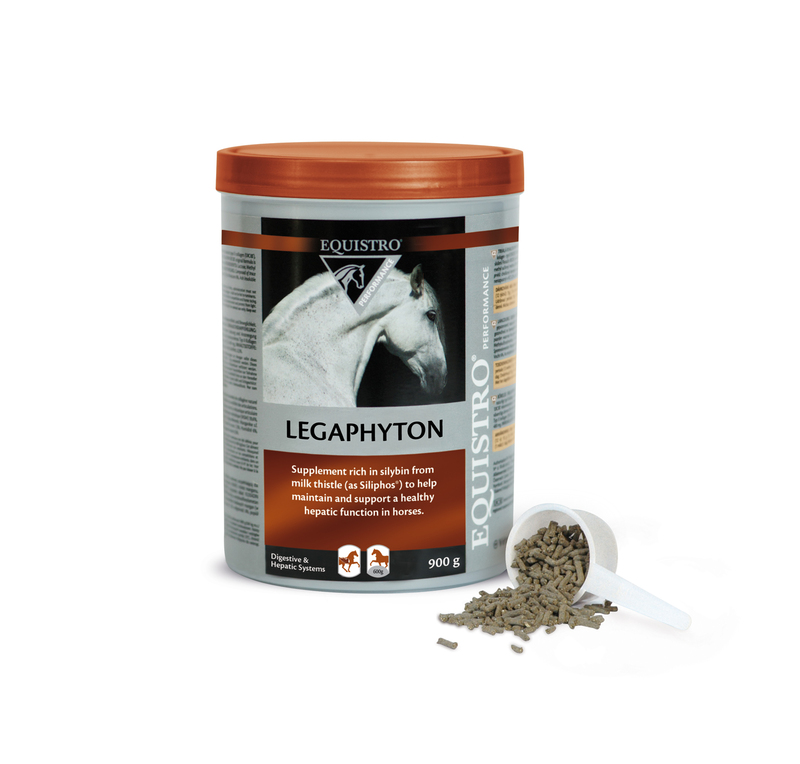 Legaphyton is particularly recommended for horses suffering from chronic liver insufficiency (horses under intense training, overfed horses and “aged” horses). It contains a readily assimilated silibin and phospholipid compound and highly digestible carbohydrates. Legaphyton is a dietetic complementary feed. COMPOSITION: Barley flour, Carob pod 25%, Lucerne 15%, Sucrose, Pregelatinized potato starch, Silibin/phospholipids 3% (Silibin 1.1% and phosphatidyl choline). Source of proteins and fibres: Cellulose, Silibin/phospholipids. ADDITIVES/KG: Thickening and stabiliser agents: cellulose E 460 (ii) 40 000 mg. ANALYTICAL CONSTITUENTS: Starch 25.4%, Crude fibre 12%, Crude protein 9.4%, Moisture 8%, Crude ash 4%, Crude fat 2.7%, Sodium 0.2%, Choline 0.2%, DL Methionine 0.15%. • Horses (500 kg): 30 g (1 scoop) per day. • Ponies: 15 g (½ scoop) per day. To be mixed with a high quality protein feed which should be divided into several small meals per day. Advised period of feeding is for an initial period of up to 6 months. N.B. It is recommended that a veterinarian‘s opinion be sought before use or before extending the period of use.